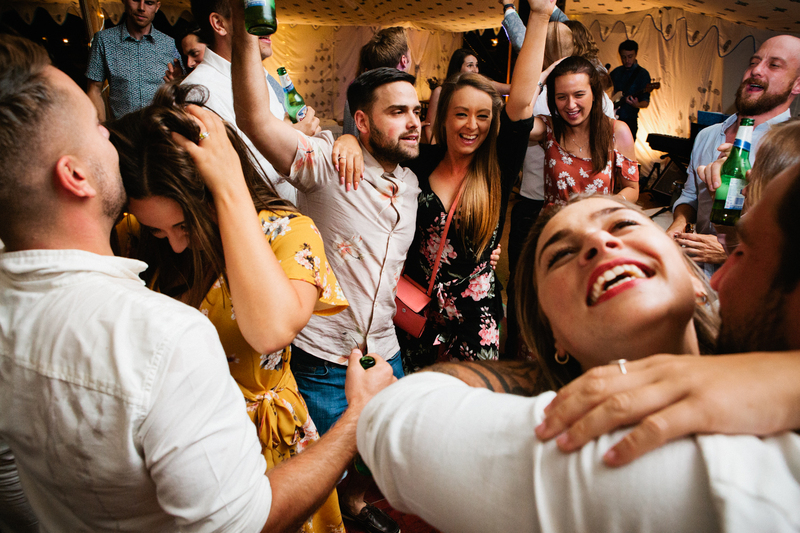 Music is a central element to most weddings, so make sure you’ve got the exact festival feel you want with a line-up of incredible bands, DJs, or performers. This doesn’t have to be a roster of 6 piece bands all on stage for an hour each; it could be an acoustic guitarist to serenade you between the ceremony and the reception, a mariachi band whilst you’re eating your food, and then a full band setup for the party. Make sure you use bands and DJs who play the kind of music you want to listen to – it is your day, after all. 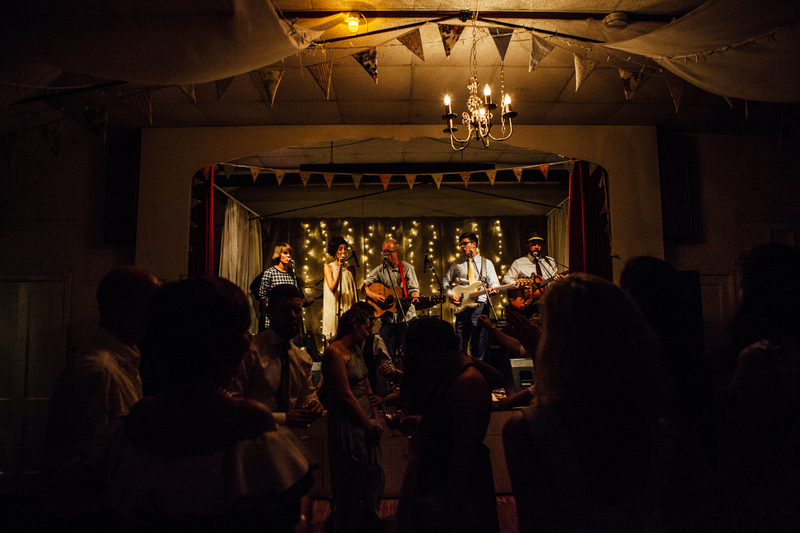 For a proper authentic festival wedding feel, why not have your catering from food trucks or food stalls? It’s an amazing way of getting great-tasting food from different cuisines, and also an excellent way of using space and creating elements for your guests to enjoy. Why not each pick your favourite cuisine and have a food truck each to represent both of your favourites? I’ve got an excellent article on alternative catering ideas for weddings for weddings over on the wedding planning guide which has lots of handy links to food truck caterers that I have worked with in the past. Generally, bigger pieces of wedding décor have more visual impact than the little ones (although if the little ones are the ones that float your boat, then by all means do your thang). With festival style weddings, this is also true. Big flags, garlands and bunting all work really well with a festival style wedding, as does a bright colour scheme. Painted signs, big props and festoon lights also work really well for mega impact. After fields, you probably think of glitter when I say festivals…so why not have a glitter bar for your guests? Guests can get their sparkle on to then dance the night away…make sure you keep it to eco-friendly glitter that won’t harm the environment! 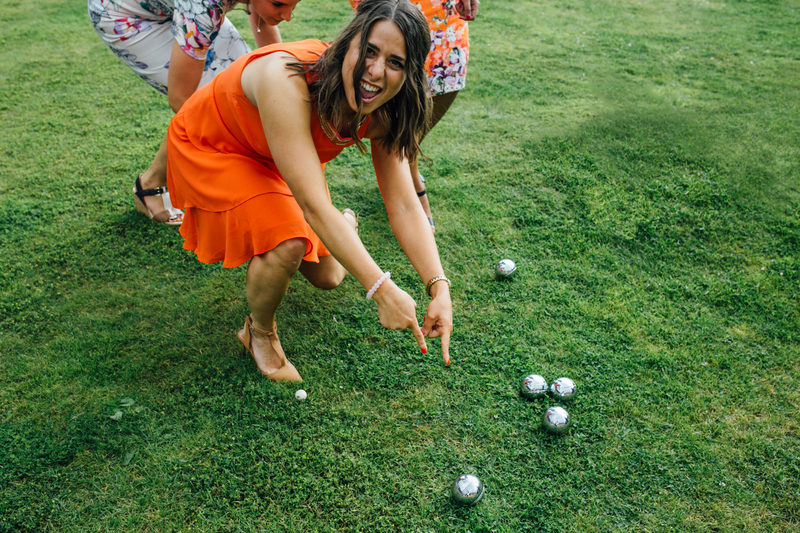 There’s so many other interactive elements you can choose for your wedding guests to keep up that slightly surreal, excitable hype of weddings, too – try photo-booths or games. 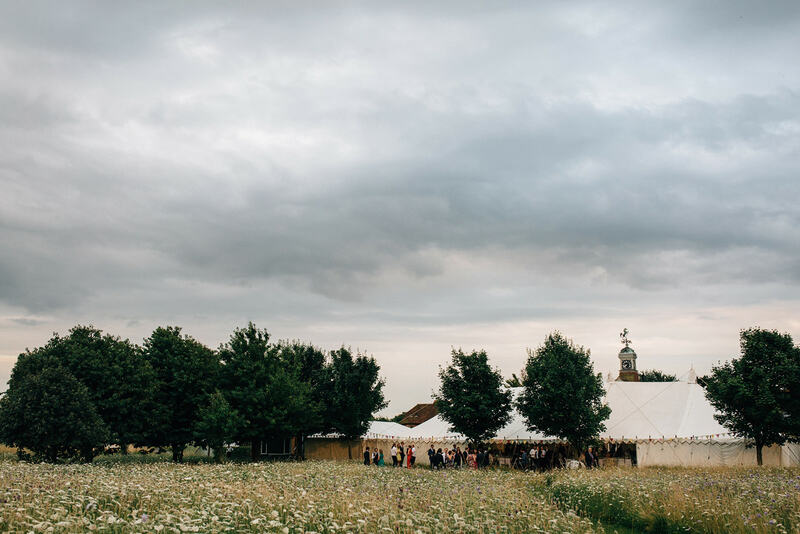 So this point is pretty key when planning a festival wedding, make sure you give your guests the heads-up that you’re going for a full-blown festival wedding, so they can pack their macs and their wellies alongside their heels. It may get a little muddy, and that’s the fun of the festival for most people – but not so fun if you never gave them chance to prepare!